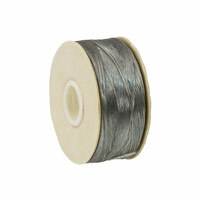 1) Pull about 2 yards worth of thread from the spool (your arm span is roughly one yard). Treat the cord by pulling it through the Thread Heaven 2-3 times, and then thread the needle onto the cording. 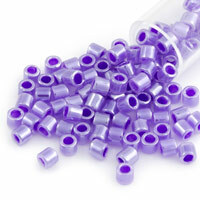 Following the chart for color, make a ladder stitch 10 beads long. Don't make this ladder stitch extremely tight, as you'll be passing jump rings in-between the beads a bit later on. Leave a tail of about 6-8" long. 2) Follow the directions for creating the Herringbone stitch on our main videos page under "Bead Weaving and Stitching" for a refresher if you like. Make sure to follow the chart for the first couple of rows to use the correct pattern color. This bracelet should be snug around the wrist, so make your bracelet as long as you need to and leave about 5/8" for the jump rings and clasp. 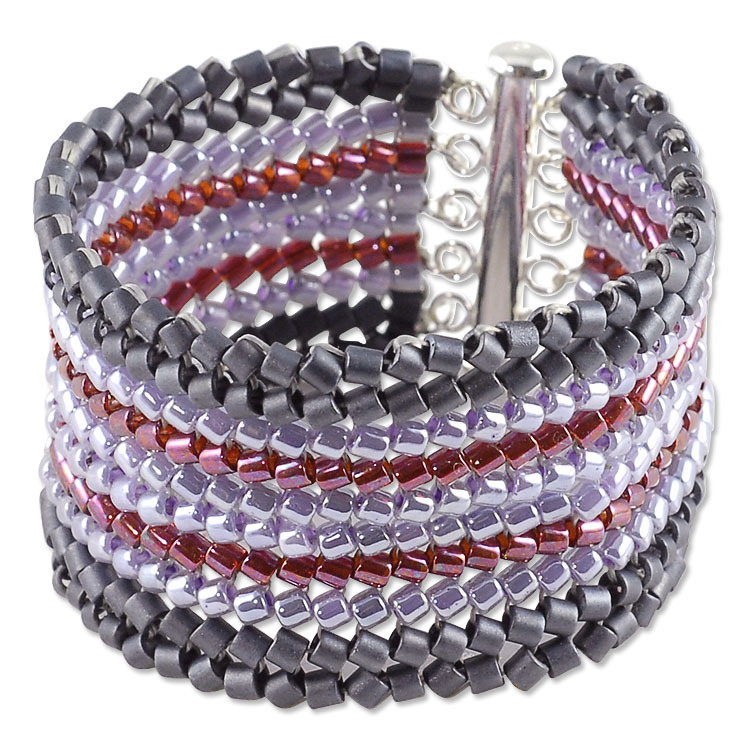 3) For your finishing row, make a ladder stitch to mimic the design on the other end of the bracelet. 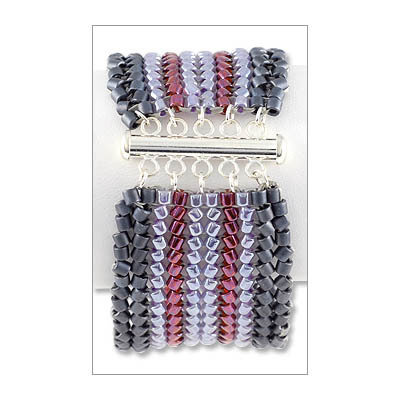 Finish your cording off by weaving back into your work (weaving toward the middle of the bracelet). Go back, zig-zagging for about three to four rows. Secure your cording tail with a surgeon's knot and then thread the tail back a couple of rows and use the Thread Burner to get rid of the excess cording tail. Repeat this for the other end of the bracelet too. 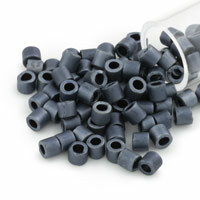 4) Open up 10 Jump Rings and secure 5 of them at each end in-between every other seed bead. Look to the picture for reference, and even when you hold a half of the clasp up, you'll see just how the jump rings should line up to meed with the connector loops on the clasp. Use your Chain Nose Pliers if you need a little help pushing them through. Before closing all of these jump rings, secure them to their designated connector loops on the clasp. Keep in mind - when attaching the clasp, pay attention to how the halves line up with one another. Each half of the clasp end should be facing opposite from one another. Close all of the jump rings securely, Tah-Dah! !